We know that this Xiaomi didn't showcase any thing at the MWC 2017 this year. But while the MWC was going on, it held it's own event at Beijing, China. From very long, we were getting many rumors regarding the Xiaomi's self built chipset and now actually the company has unveiled the chipset at it's own Beijing Event. We were getting many teasers regarding a powerful chipset which would be used in the processor. But the company hasn't showcased it yet and actually the company unveiled a simple basic type of chip for it's devices at this event at Beijing. 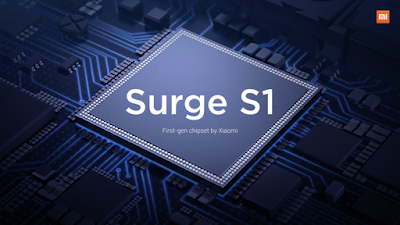 The chipset which was unveiled is known as Surge S1. This chipset is based on 28 nm architecture. 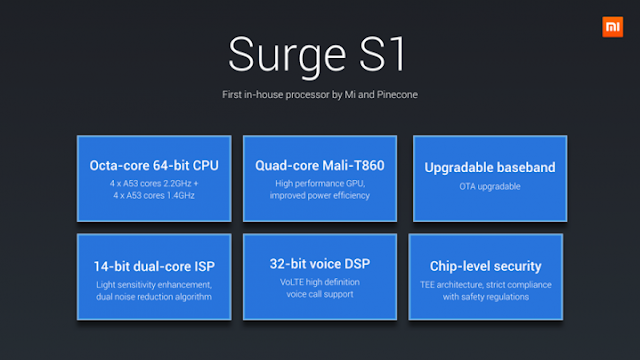 The Surge S1 has eight cores among which four cores are cloaked at 2.2 GHz and the other four are cloaked at 1.4GHz. This uses Mali-T860MP4 GPU for graphics. This will be used in the budget and mid range Xiaomi devices. This will compete with the chipsets such as Snapdragon 430, Mediatek Helio P10 and Exynos 7580. Xiaomi using this chipset has launched a new smartphone at the same event. The device is known as Xiaomi Mi 5C. I will talk about this device in the next part. Xiaomi didn't launch the powerful chipset on which it is working. That chipset is rumored to be called Pinecone chip. The chipset will be made on 10nm architecture and will be used in Xiaomi's flagship devices. Actually Xiaomi at this event was not ready for a device which can have this chipset. So Xiaomi didn't unveiled the chip. But this chipset is rumored to be use in Xiaomi's next flagship that is Xiaomi Mi 6. 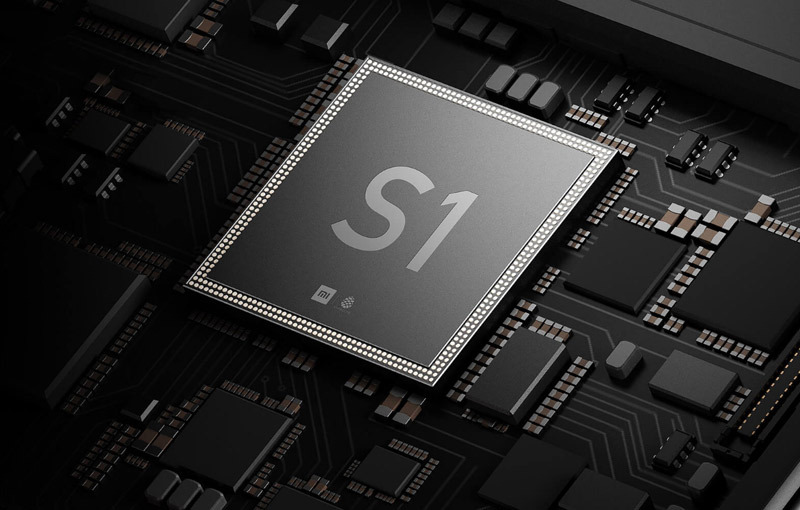 Xiaomi, at it's event at Beijing launched a device which has Xiaomi's first self built chip that is Surge S1. 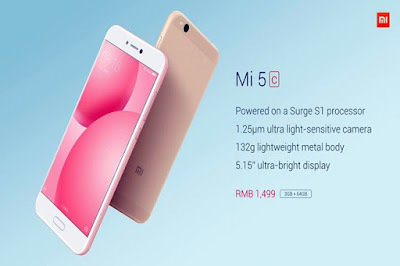 The device is known as Xiaomi Mi 5C. The device has a screen size identical to Xiaomi Mi 5 that is 5.15 inch. It has IPS LCD type screen which has full HD resolution. The device uses the Surge S1 chip as already mentioned. It weighs 135 grams and has 7.1mm thickness. The device has 3GB of RAM and 64 GB of internal storage. It has a 12MP rear camera with f/2.2 aperture and phase detection autofocus but lacks OIS. It has a secondary camera of 8MP with f/2.2 aperture. It packs 2680 mah non removable battery. It also supports fast charging, it charges the phone at 9V,2A. It comes with MIUI 8 out of the box. 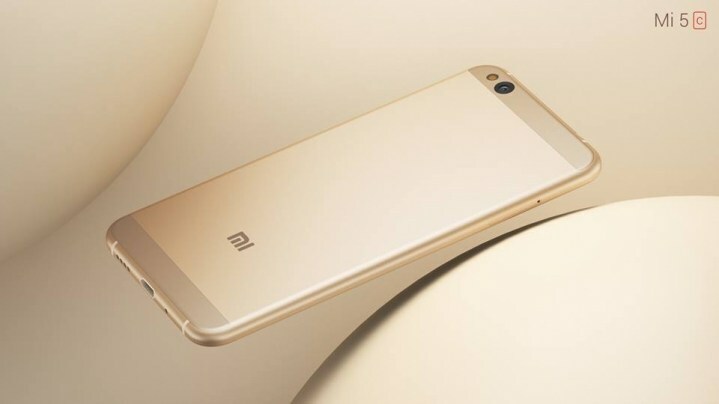 The phone also has front facing fingerprint sensor which is embedded in the home button just like Xiaomi Mi 5. Also it has all other basic sensors and doesn't skip on any sensor. Xiaomi launched this device only for China and didn't mention anything about the Global availability. It is priced at 1500 Yuan and is available in Black, Gold and Rose Gold.